Mandeville, LA – Each year the Barbacoa Brotherhood’s team captain either selects or appoints a member to select our Patron Saint. In this inaugural year of the Brotherhood, team captain Mike Church has selected Saint Vincent de Paul and Saint Anthony of Padua. 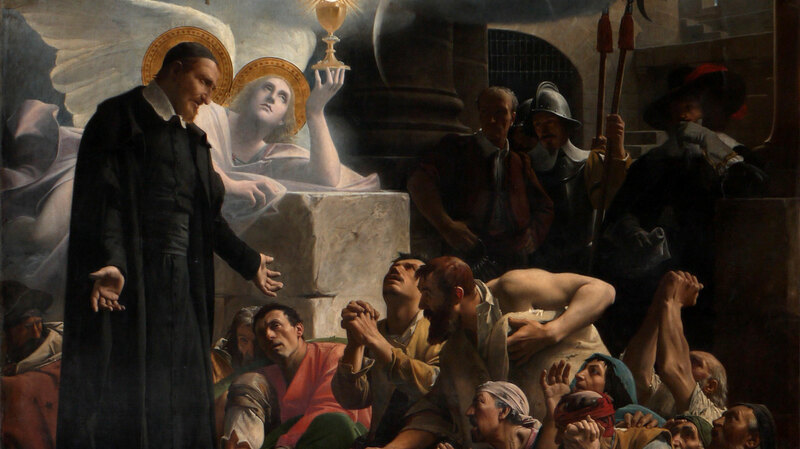 Saint Vincent’s work for the poor is nothing short of astounding when you consider the sheer number of schools and clinics he established to serve the French poor. Saint Vincent dePaul assisting the les miserables of France. This pin was given to Mike Church by Father Jeffrey Jambon. The enclosed note explains its importance and journey. Since receiving the pin, Mike has had a daily devotion to Saint Anthony of Padua’s intercession for all the children Hogs for The Cause assists. 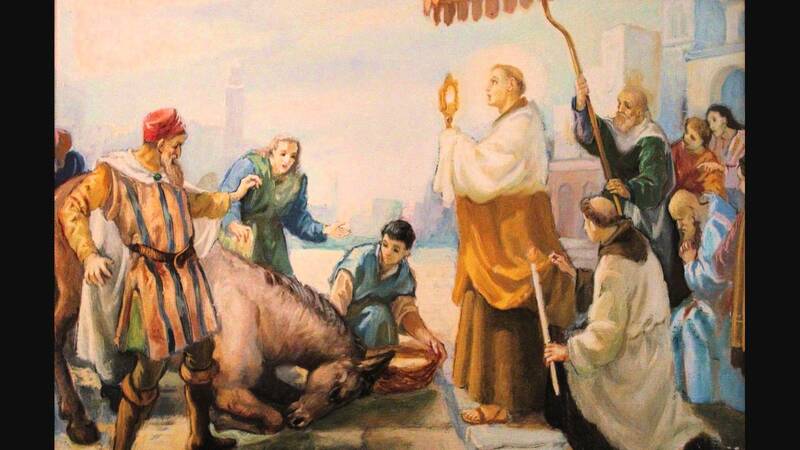 Saint Anthony is the Barbacoa Brotherhood’s co-patron Saint for 2018! 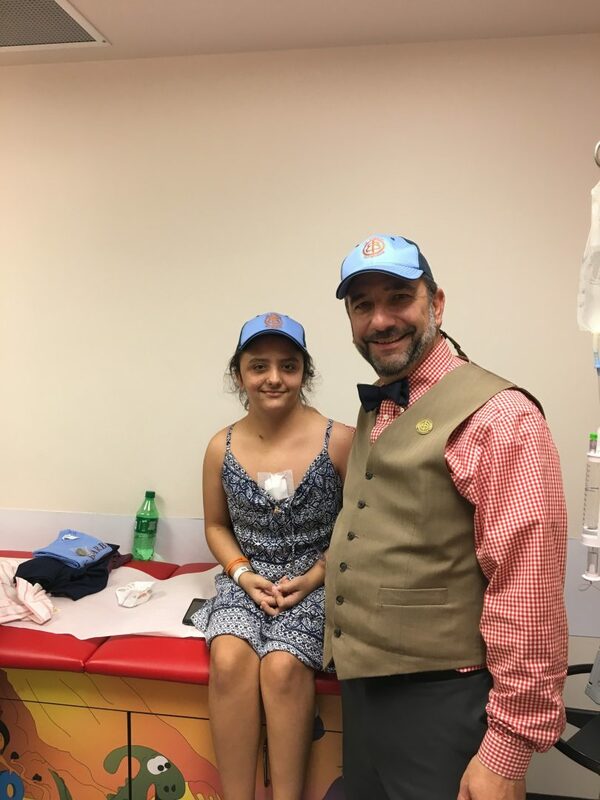 Nadine Hebert pictured with Mike Church during treatment at Children’s Hospital, NOLA, April, 2017. This entry was posted in Friends & Fraternity, News, Our Mission and tagged hogs, miracles, nadine hebert, saint anthony of padua, saint catherine, saint vincent dePaul. Bookmark the permalink. ← Our 2018 Hogs For The Cause Campaign & Assault On 53rd Place Ribs Has Begun, Join Us!